This products gains on popularity, mostly by young sportsmen. You can choose from more types. The standard are one-coloured hats of type Bronx. 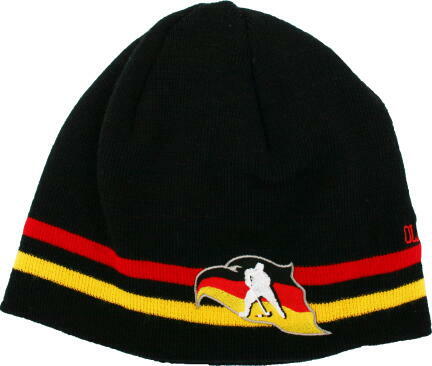 We can also make special winter hats, it is possible to compbine more colours, placing of strips etc. Easier motives (logos, club names etc.) are possible to be knitted up. All hat types can have an embroidery. Feel free to discuss with us every little detail. We will be happy to help you choose the best variant for you. It is possible to combine or add other products (scarf, gloves, eventually baseball caps) to this type of winter hat to make a compact collection..